So far in 2016, Animal Ark Rescue has taken in 43 heartworm positive dogs from Columbus, GA Animal Control. The average cost to treat one of these heartworm positive dogs is $200. Even with this high cost per dog, AAR is committed to saving these treatable dogs and finding them a forever home. 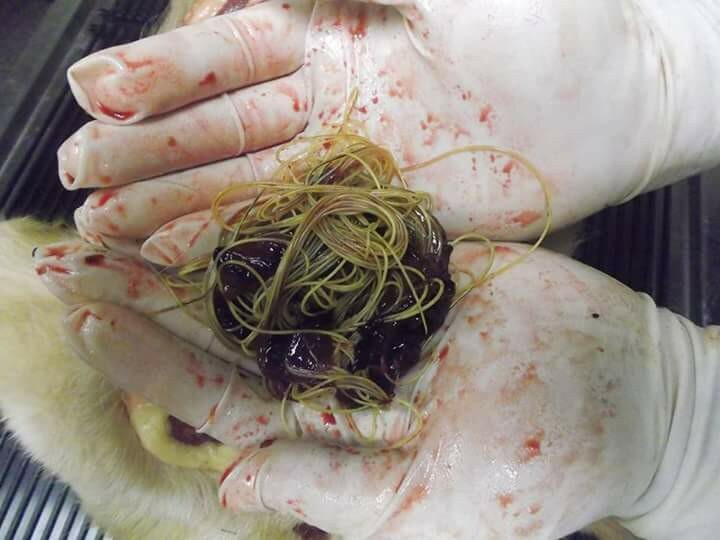 A heartworm is a parasitic worm that lives in the heart and arteries of an infected dog. Heartworm disease is serious, and can be fatal if left untreated. Heartworms are transmitted from dog to dog by mosquitoes. When a mosquito bites an infected dog and then bites a dog who is NOT on monthly heartworm, it spreads the disease. 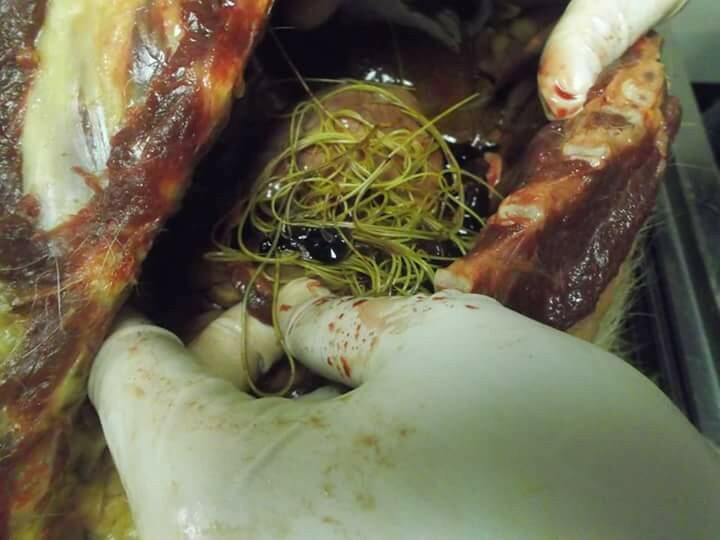 Heartworm infestation can happen to any dog who is not on heartworm prevention. The good news is that heartworms are easy to prevent with an inexpensive chewable pill which is available at your vet office. The heartworm prevention pills are given every month beginning at about 3 months of age throughout their ENTIRE lifetime. Doxycycline is an antibiotic that kills bacteria living inside heartworms as well as weakens and sterilizes the heartworms so that they cannot reproduce. This medication reduces the risk of any adverse reactions during the upcoming imitticide injections (Fast Kill Treatment). After picking your pet up from the vet, they must be on kennel rest for 2-4 weeks. This means only daily leash walks… NO playing, running, jumping, etc. After 60 days, you must begin your pet on a monthly heartworm prevention (Heartguard). 6 months after treatment, you will take the pet back to the vet for re-testing to make sure the treatment was successful. You must keep your pet on a monthly heartworm prevention for the rest of their life just like every other dog to prevent becoming re-infected.